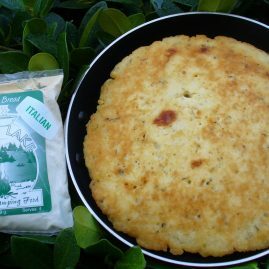 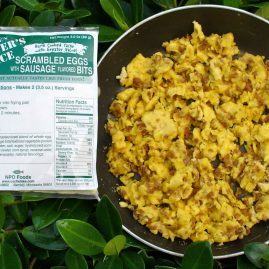 Egg (a homogenized and pasteurized blend of whole egg, non-fat milk, vegetable oil and salt), bacon bits (textured vegetable protein (soy flour, caramel color, red 3), partially hydrogenated soybean oil, water, salt, artificial flavoring (hydrolyzed corn-soywheat protein, autolyzed yeast extract, partially hydrogenated soybean/cottonseed oils, thiamine hydrochloride, dextrose, disodium inosinate, disodium guanylate, artificial flavor), sugar, natural smoke flavors, caramel color, corn syrup, maple syrup). 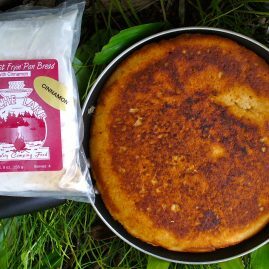 Contains: soy, dairy, wheat. 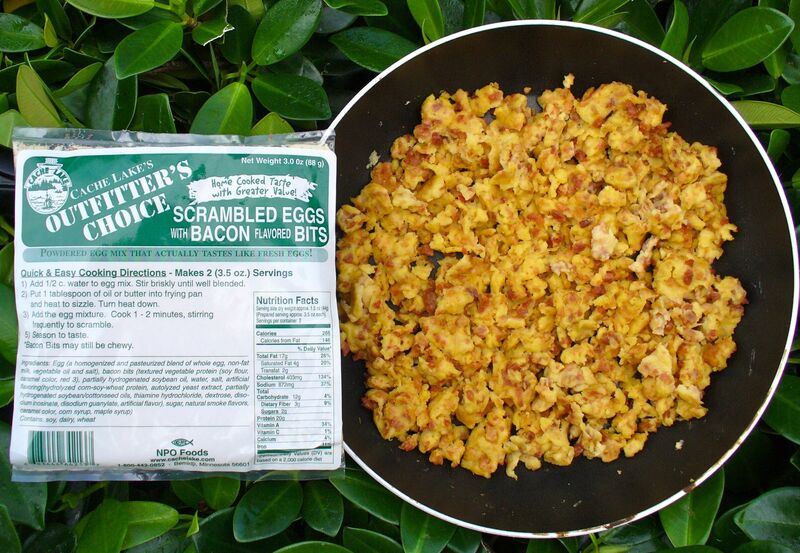 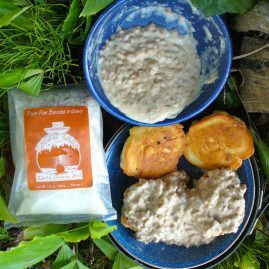 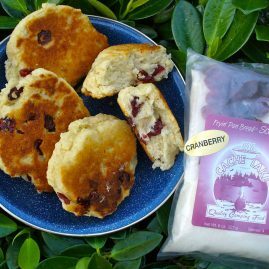 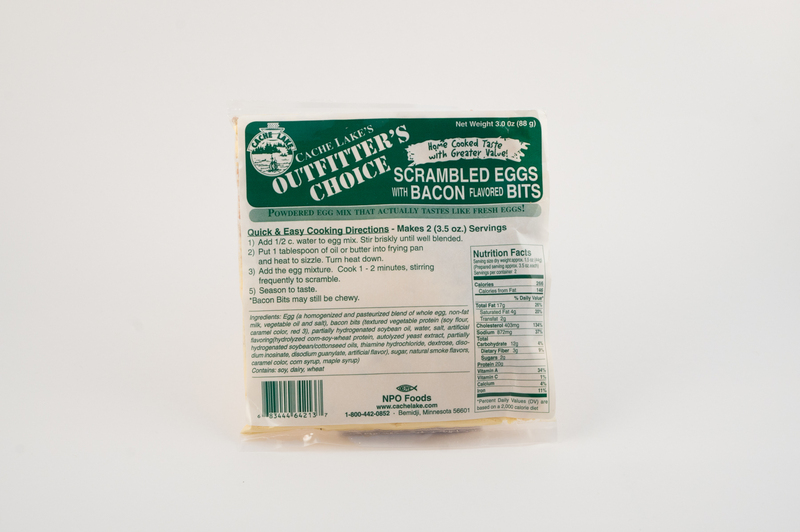 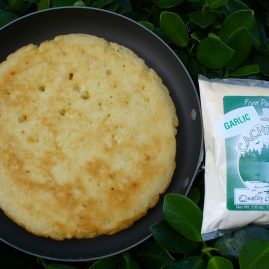 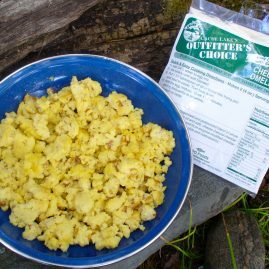 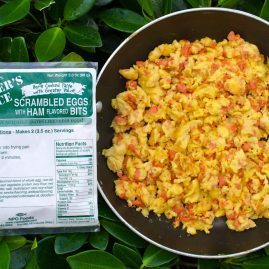 Be the first to review “Outfitter’s Choice Scrambled Eggs with Bacon Flavored Bits” Click here to cancel reply.